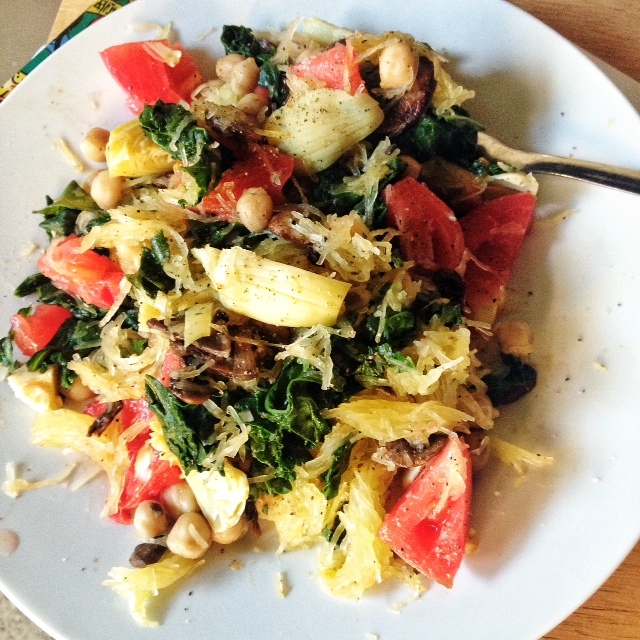 An easy trick and recipe for dealing with unwieldy spaghetti squash. Cook the spaghetti squash as per the instructions above. Just before serving, use a fork to scrape and separate the strands of the squash into a bowl to mix everything together. Heat a pan over med-high heat. Once hot, add a little oil and the mushrooms. 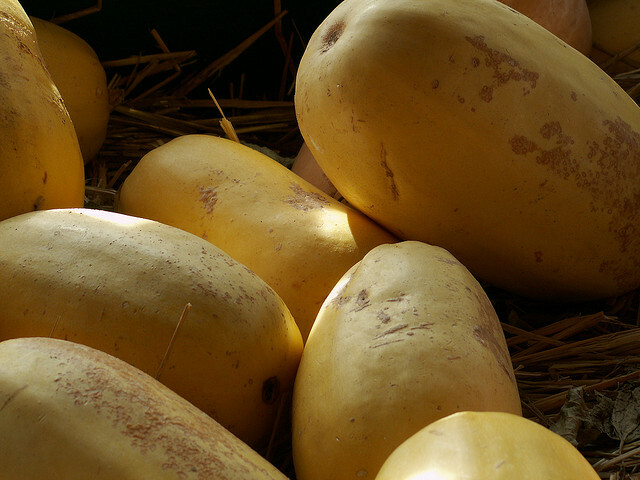 Cook, stirring frequently, until softened and browned. Stir in a pinch of salt and the garlic then cook another minute. Empty pan’s contents into the bowl in which you’ll be mixing everything together. Reheat the pan exactly as before. Once you’ve added a bit of oil, add the kale and a bit of salt to the pan and sauté by stirring constantly until wilted. Add the chickpeas and continue stirring and cooking just long enough for them to heat through. Tip this mixture into the bowl with the mushrooms. 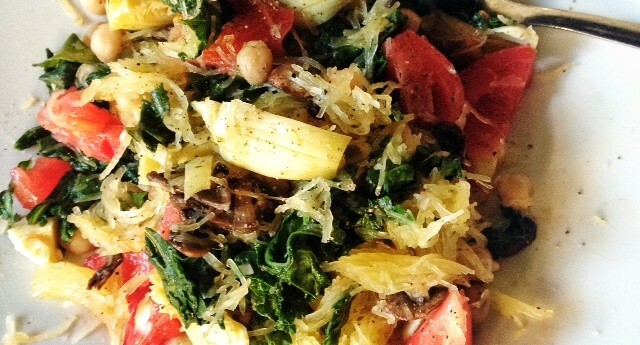 If you haven’t already, add your spaghetti squash to the bowl along with the tomato and artichokes. Stir to incorporate then taste to adjust seasoning with salt, pepper and lemon juice.